Why Pakistan Prime Ministerial candidate said marrying Reham was a mistake? Sri Ramachandra Murthy July 26, 2018 12:00 IST Why Pakistan Prime Ministerial candidate said marrying Reham was a mistake? 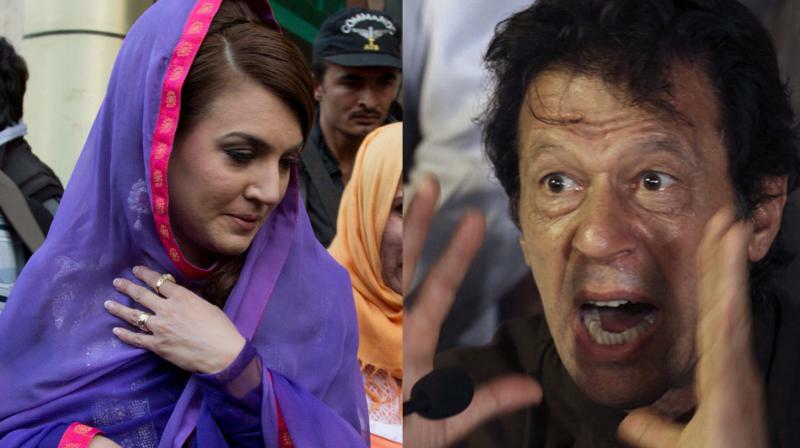 As per report after claiming that Imran Khan fathered a few Indian kids in her recently published autobiography, Pakistan cricketer turned politician’s second wife Reham Khan has launched yet another attack on the Pakistan Tehreek-e-Insaf chief as he dreams to become the next Pakistan Prime Minister. Meanwhile Reham told “Imran had recently claimed that marrying Reham was a mistake, she has hit back at Imran, saying marrying him was her “biggest mistake”. He should have chosen another sycophant”. Meanwhile in another interview, Reham said that Imran has no connection to real life. Accordingly he is the only celebrity we have in Pakistan and expects everyone to do everything and you have no connection to real life”. Reham added “He is so narcissistic and single minded about his goal (to become Pakistan PM) that he forgets the appropriate emotional response to things”. Furthermore in her book, Reham had said that her ex-husband thinks he is God. She said “She married him because she believed in him and his mission, but it’s all fake,” and that she had received death threats regarding releasing her upcoming book. She added “She had received death threats for releasing the book and she was also threatened to be defamed for the same. This is very depressing but she is an optimistic person”. Is Jagan favoured more by punters in the state? Sources from Amaravathi stated that with exactly one month left for the elections, punters in Andhra Pradesh are now running huge bets on who will win with a great majority between YSR Congress President Y.S. Jaganmohan Reddy or TDP Chief and AP Chief Minister N. Chandrababu Naidu.